What just happened? Amazon’s Dash buttons, the stick-on gadgets that allow users to order single items with a click, are being discontinued. While millions of them have shipped over the years, advancements in technology have rendered the devices obsolete. First launched in 2015, Dash buttons were designed as a way for people to quickly order items that constantly need replenishing. Individual buttons were available for everything from paper towels, to toilet rolls, to dog food. Each one cost $5, but buyers had this money reimbursed after making their first order. In the four years since their launch, new technologies have taken the place of the Dash buttons. The Dash Replenishment Service, for example, is now integrated into hundreds of connected devices, including whirlpool washing machines, and automatically reorders items such as detergent when it detects they are running low. 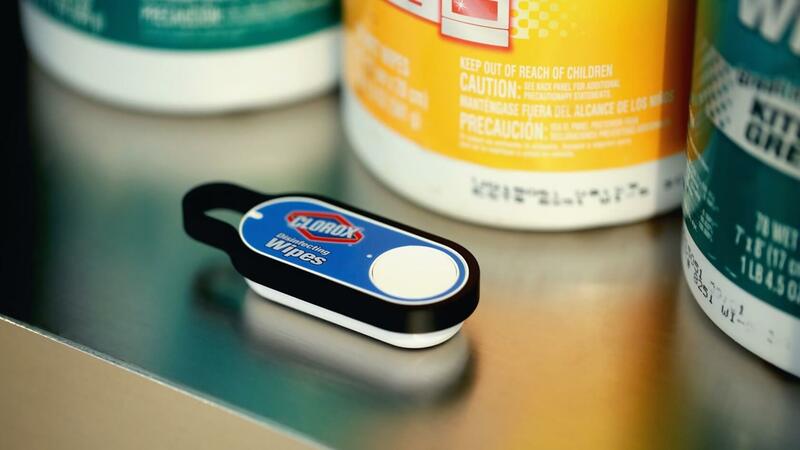 Other Amazon products have made the physical Dash buttons less relevant. The company’s own Alexa voice assistant and line of Echo speakers allow customers to quickly and easily reorder goods, and there’s also the Echo Wand, which lets users scan the barcodes of items they want adding to their shopping list. There are even virtual Dash buttons on the Amazon website. For those who regularly make orders via a Dash button, Amazon says it will continue to support their function “so long as the public keeps using them,” writes CNET. Last month, a German court ruled that the Dash buttons violated the country’s consumer protection rules. Amazon never said if the decision to discontinue the buttons was related to this judgment.